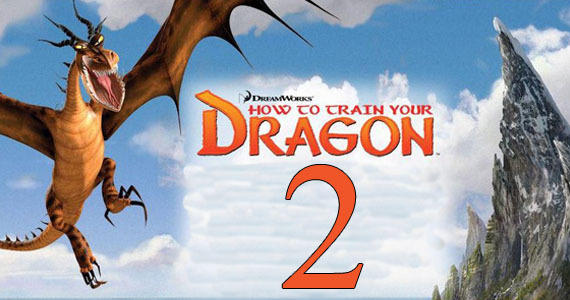 First Look at the Sequel to "How to Train Your Dragon"
Above is the official logo for "How to Train Your Dragon 2." 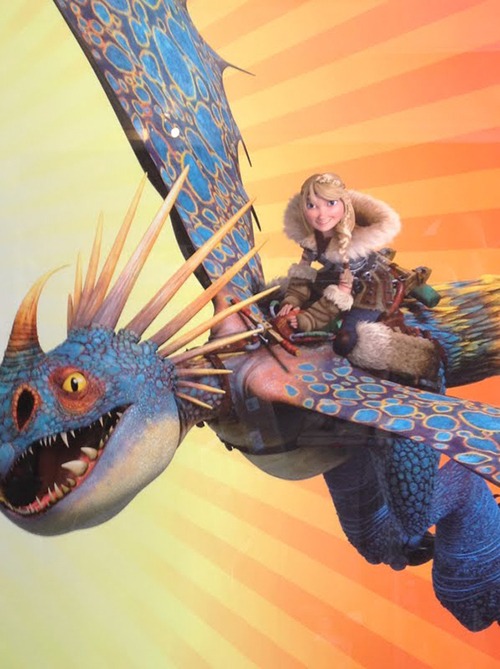 Hiccup takes to the skies! 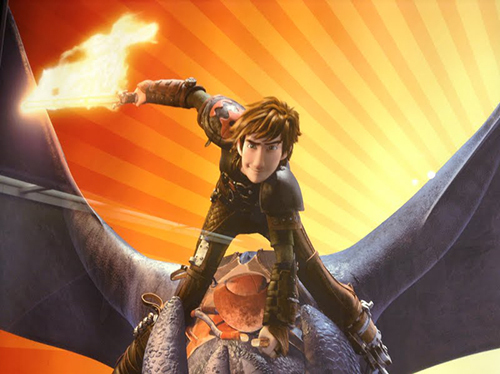 DreamWorks currently has several projects running with the "How to Train Your Dragon" franchise: production of the sequel "How to Train Your Dragon 2"; the touring theater show "How to Train Your Dragon Live," complete with "How to Train Your Dragon" dragons; and the animated television show, "Dragon: Riders of Berk." 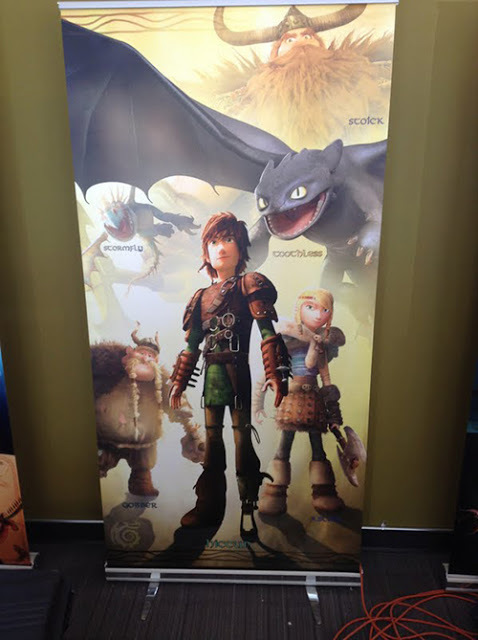 "How to Train Your Dragon 2" is currently filming. The cast and crew look similar to the first instalment, with the entire voice cast returning: Jay Baruchel, Craig Ferguson, America Ferrera, Jonah Hill and Christopher Mintz-Plasse. The second book in the 7-book series is about pirates, but it is unlikely they will change the formula that much in the sequel. The film departed a great deal from the novel anyway. The film is being written and directed by Dean DeBlois, and the score again will be by John Powell. It is scheduled for release on June 13, 2014 (4 July in the UK). Kit Harington of "Game of Thrones" is cast as the villain. 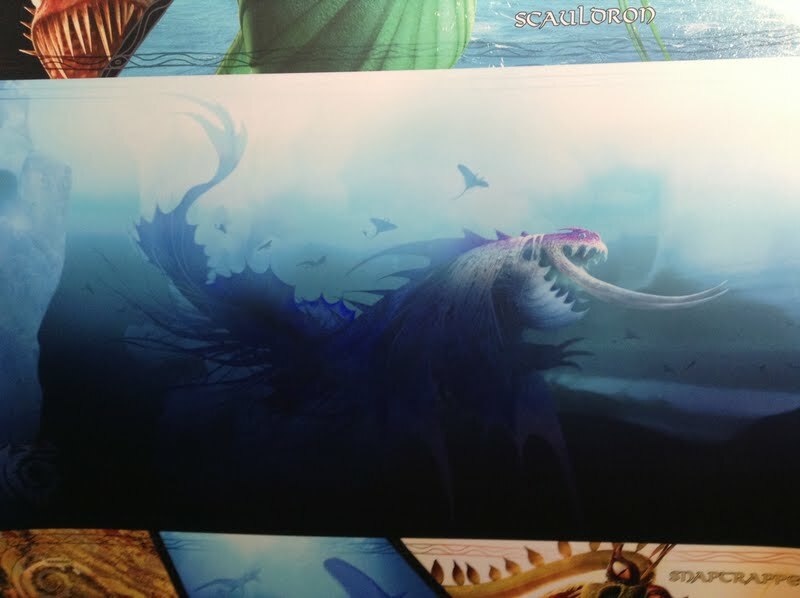 There will be lots of flying in the sequel, as this wall painting shows! "At the end of the last film, all these Vikings who were previously somewhat landlocked are now on the backs of dragons, so the entire Northern Hemisphere opens up to them. And with that Hiccup’s curiosity increases, the map expands and inevitably they are going to come across new dragons, new cultures." Sounds like there will be a lot of action! DreamWorks also is making an animated spin-off TV series that airs on the Cartoon Network, which announced that it had acquired the rights on October 12, 2010. 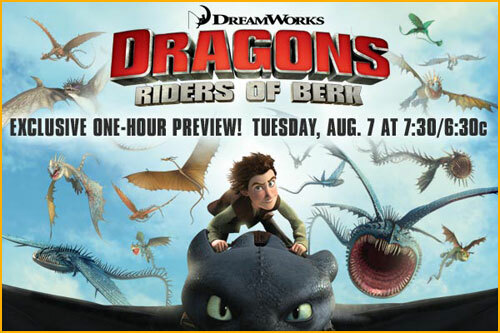 The title is "Dragons: Riders of Berk." There are seven episodes in the first season, and it already has been approved for a second season. Jay Baruchel, America Ferrera, Christopher Mintz-Plasse and T.J. Miller all return for the series. 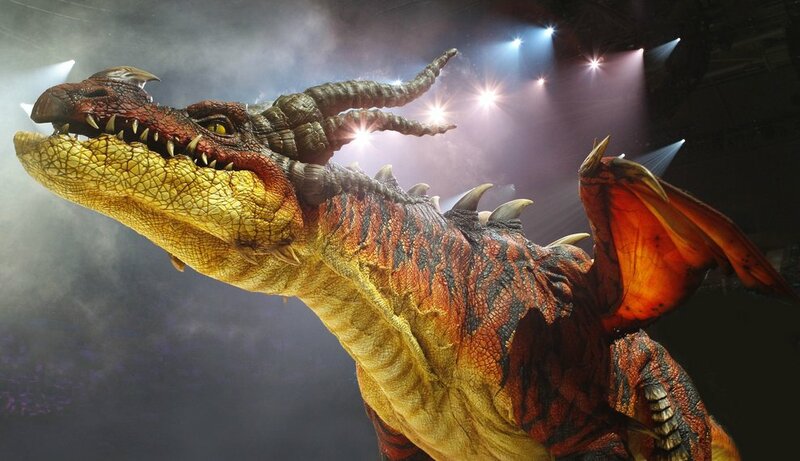 "Monstrous Nightmare," a dragon from "How to Train Your Dragon Live"
There also is a live show, called "How to Train Your Dragon Live," touring the country. 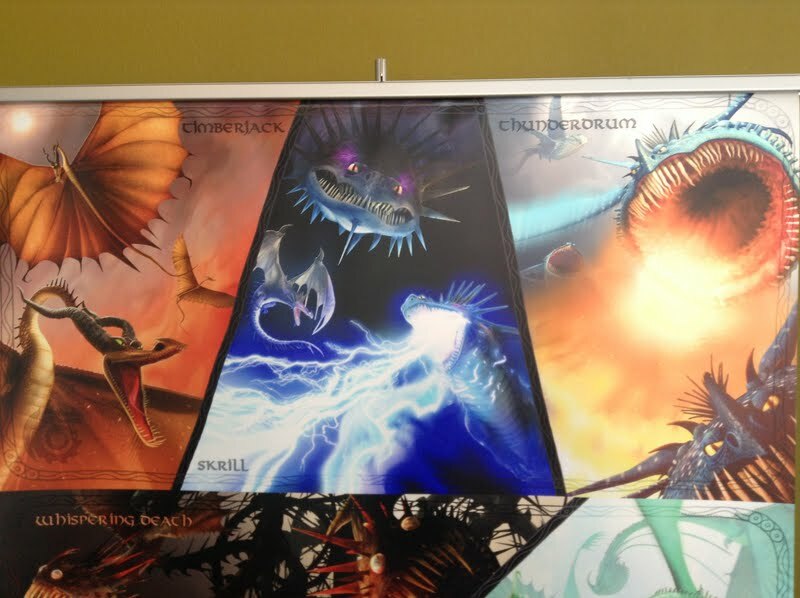 It features animatronic dragons and human actors. 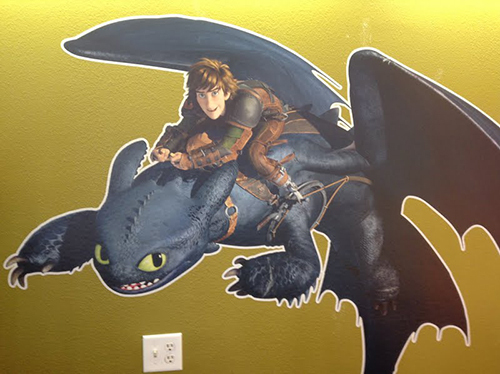 The "How to Train Your Dragon" dragons are driven around the magnetized floor by hidden drivers. In fact, there are three or four puppeteers inside each dragon who manipulate the creature's wings and legs and so forth. There are lasers, sound effects, and villagers who scale walls, climb ropes, and break-dance. It's not a word-for-word recreation of the film, but a completely new adaptation of the film for the theater. The show is a collaboration between DreamWorks and an Australian outfit, Global Creatures, that has done "live" dinosaur shows before. i love animation films. This is one of my favorite.